During his campaign ahead of state elections in Karnataka on 5 May, the Congress vice-president Rahul Gandhi accused the ruling Bharatiya Janata Party (BJP) of “creating a world record” for corruption in the state. Gandhi’s statement was interesting since his own party, which leads the United Progressive Alliance (UPA) government at the federal level, also suffers from a crisis of credibility as it finds itself mired in a raft of corruption scandals. Reports published by the country’s Comptroller and Auditor General in recent years have contended that the federal government’s allocation of coal blocks and its 2G telecom spectrum during its tenure has led to windfall profits worth billions of dollars for private firms. Still, Congress politicians hope that their strategy of raising the issue of corruption scams in Karnataka will blunt the BJP’s national offensive against Congress on graft-related issues. Indeed, the most prominent case of graft in Karnataka came to light after a government-appointed committee headed by a former Supreme Court judge, Santosh Hedge, found in 2011 that senior BJP leaders in Karnataka, including then chief minister B.S. Yeddyurappa, systematically looted the state’s mineral wealth. The report estimated that the alleged mining racket cost more than U.S. $3.6 billion in lost government revenue between 2006 and 2010. 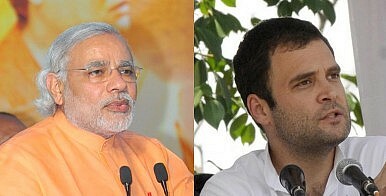 A campaign focused on graft seems to be bearing fruit as pollsters predict that a Congress win is likely in Karnataka. A defeat for the embattled BJP, plagued by infighting and grappling with a series of corruption scandals, would come as a huge morale booster to the Congress. An indication of the BJP’s sliding fortunes came during elections to Karnataka’s 207 urban local bodies (ULBs) in March 2013, when the Congress emerged as the largest party in 69 ULBs. Despite predictions, elections to the 224-seat state legislature have been a three-pronged race between two national parties – the BJP and the Congress – and a third party, the state-based Janata Dal (Secular) or JD (S). Karnataka is the first of the three large states heading to polls this year, the other two being Rajasthan and Madhya Pradesh. Irrespective of the outcome, Karnataka serves as a key testing ground before the BJP and the Congress launch their national campaigns ahead of general elections in 2014. Besides Gandhi, who was elevated to the post of vice-president in January, the Congress dispatched other senior leaders like his mother and party chief Sonia Gandhi, as well as Prime Minister Manmohan Singh, to campaign in the state. For its part, the BJP sent Narendra Modi, the controversial chief minister of Gujarat, into the fold in Karnataka, in what will be a crucial test of his appeal in South India. With its electoral battle dominated by the issue of graft, Karnataka could offer significant clues to the outcome of the 2014 general elections, ensuring that the poll results will be keenly watched.